Blissful basics with your favourite piggy. Very sweet and simple learning for life. 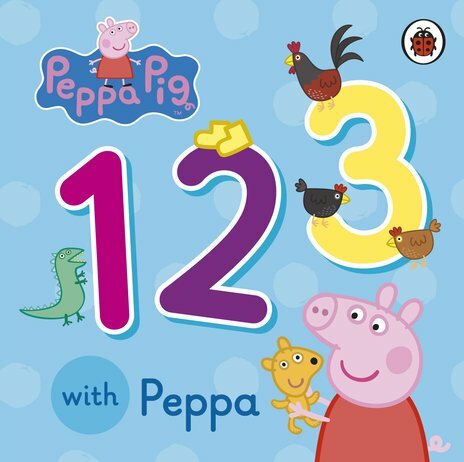 What could be nicer than a learning adventure with Peppa? Your chance to start counting first numbers, made as easy as 123. (And to giggle a bit and jump in some muddy puddles, of course.) This chunky first board book fits perfectly into your little trotters. And it’s full of lovely colour pictures and easy examples. Oinky, curly-tailed fun.